I saw these via pinterest and actually used the idea! this is my plate of favorites, but we made all kinds. 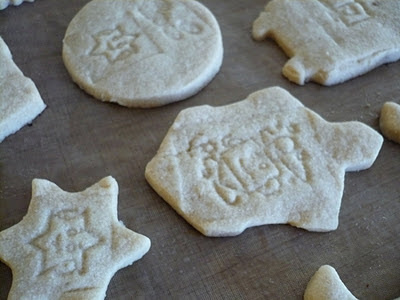 It was a great way to decorate shortbread cookies, especially for little hands. 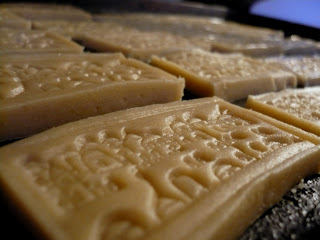 The end result is a bit like old-timey shortbread molds which can be difficult to make work. 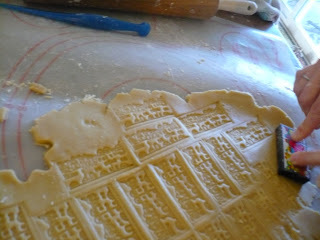 It was very simple, we rolled out the dough and stamped. Glazed with egg wash to make them shine. 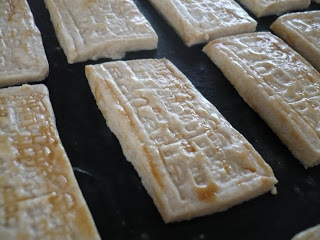 Shortbread cookies are probably my favorite, and this recipe worked perfectly–others I’ve tried have been too dry and difficult to make cut-out cookies from. Preheat oven to 275F degrees. Cream the butter and sugar. Add salt, flour and vanilla and mix until well blended. Roll out to about 1/4inch thickness and cut shapes on a generously floured surface at will! Collect scraps, re-roll out and repeat until you’ve used all your dough. Bake for 45-50 minutes. Did you make your favorite cookies this holiday season? Brilliant! 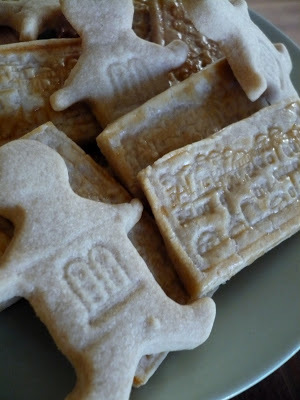 Cookies with an imprint of Jerusalem's city-scape — I love it!